The Girl With the Red Balloon is full of magic, mystery, action, romance, and wonderfully diverse characters. Set in 1988 East Berlin, a year before the Berlin Wall came down, there’s so much history and devastation and love and hope packed into Ellie and Kai and Mitzi’s story. The book started out a bit slow for me, but when it picked up, I could hardly put it down. The last quarter or so was so exciting I was stabbing at my Kindle pages trying to turn them faster and faster. Locke created a complex story that wove together the lives of several generations of people, from the Holocaust to Cold War Germany where a girl from modern times ends up time traveling via magic balloon. Whenever I read books that deal with Hitler’s Germany in any way, I realize how little I actually know about the horrors of the Holocaust. The scenes told from Ellie’s grandfather’s perspective, which took place mostly in a ghetto in Poland, left me with a lump in my throat, fighting back tears. I knew even less about the Cold War and the Berlin Wall, and the intense oppression and fear people experienced in East Berlin. As I was reading, I kept thinking, ‘this is recent history. This isn’t even 30 years ago. I was alive when this happened’. Considering what’s happening in the world and the fact the US currently has a leader who has frightening resemblances to Hitler, this book is one that got me thinking, researching, and having important conversations with friends. 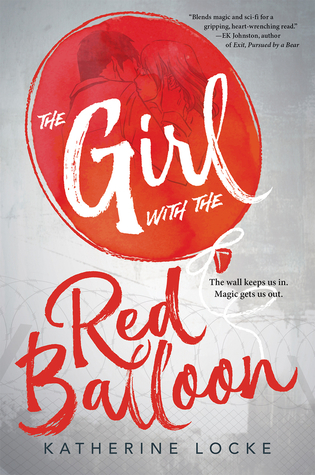 The Girl With the Red Balloon wasn’t just a story about the atrocities of history, though. It was also a story about friendship, acceptance, love, perseverance, and hope. So much hope. I know this is a story that will stick with me - I read it weeks ago and have thought about it every single day since. I can’t wait to read the next book and see what happens. 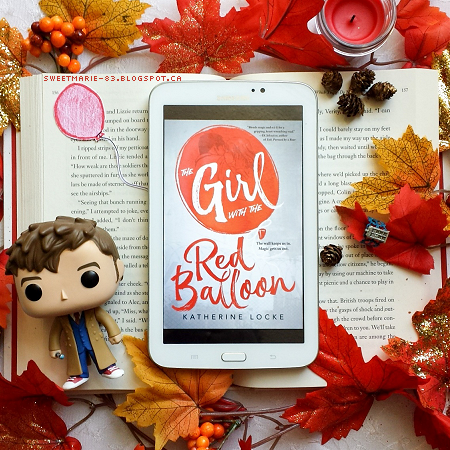 Have you read The Girl With the Red Balloon? Do you consider yourself well educated when it comes to the Holocaust and/or the Cold War? Do you enjoy books about time travel?